The Black Guillemot has a number of life history characteristics that make it an ideal monitor of changes in the marine environment in general and the Arctic in particular. Guillemots, of which there are three species, belong to the seabird family known as auks, or alcids. The most abundant seabird family in the Northern Hemisphere, the alcid family includes murres, puffins, auklets and murrelets. 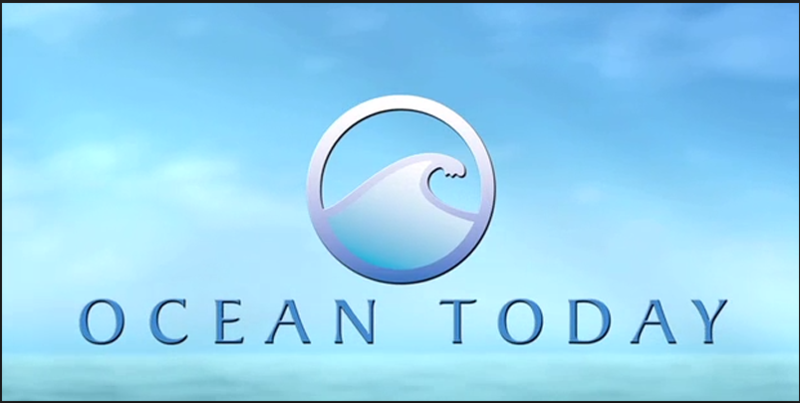 All members of the family dive to obtain prey below the sea surface typically in offshore pelagic waters some distance from land. Guillemots, however, are frequently associated with nearshore waters for most of the year, where they feed on prey both in the water column and in shallow benthic (bottom) habitats. While a number of alcid species, such as puffins and auklets, have specialized bills for obtaining a specific prey type, guillemots have a generalized bill that it uses to feed on both fish and invertebrates, although parents feed nestlings fish almost exclusively. Guillemots are also generalists in their choice of the nest sites, where they incubate eggs and raise their young. Any covered space deep enough to hide the nest contents or attending adult can allow successful breeding. Shoreline cavities are most commonly found on rocky shorelines or headlands, where guillemots are most abundant, but nesting regularly occurs in other natural cavities, such as driftwood piles and increasingly in manmade structures, such as docks and seawalls. Guillemots are also far less colonial than most seabirds with single breeding pairs not uncommon. The ability to breed successfully as single pairs combined with their plasticity in nest-site selection allows guillemots to occupy areas and exploit nesting opportunities that highly colonial species with more restricted nest site requirements cannot. 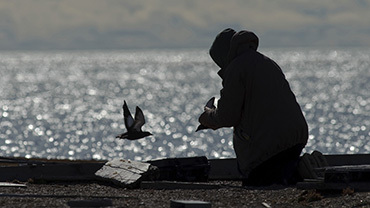 These characteristics allow it to be the most widely distributed seabird species in the Arctic Basin. black guillemot eggsIt is what guillemots do after breeding, however, that makes them an ideal monitor of arctic marine ecosystems. While every summer the region is home to millions of seabirds, waterfowl and shorebirds, with few exceptions all undertake major migrations at the end of the breeding season and spend the next nine months in more southern latitudes. 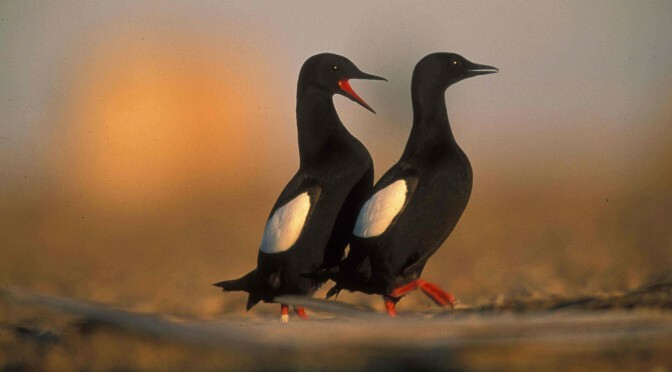 In contrast, Black Guillemots in the western Arctic undertake limited migrations, wintering no further south than the pack ice in the central Bering Sea and apparently as far north as open water is present. 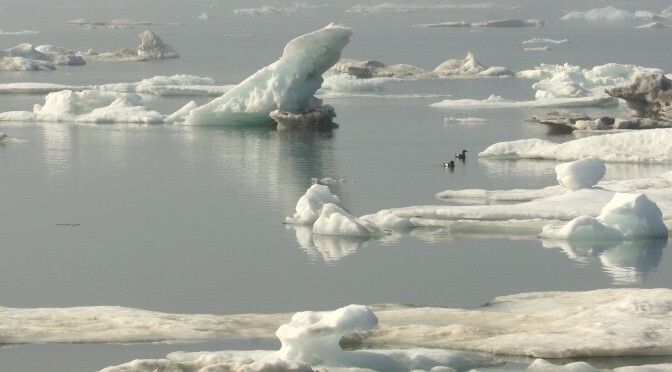 There are regular winter observations from Point Barrow, where cracks and open water are maintained throughout the frigid winter by the movement of ice by winds and currents, and where guillemots are apparently unfazed by the extended darkness as the sun remains below the horizon for three months. The ability of Black Guillemots to exploit arctic habitats throughout the year means that variation in their demographics, breeding biology or composition of their tissues reflects conditions in the Arctic. Those bird species that visit the region only to breed could be expected to have influences from more southern latitudes.